This year we got a lot of requests from our customers to provide Spring Data support for ArangoDB. So we listened and teamed up with one of our bigger customers from the financial sector to develop a Spring Data implementation for ArangoDB. 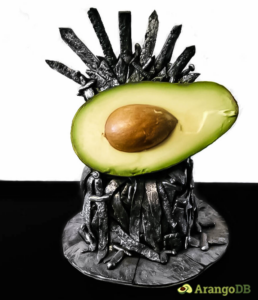 We have also made an extensive demo on how to use Spring Data ArangoDB with an example data set of Game of Thrones characters and locations. So, Spring is not only coming… it is already there! The newest release 4.3.2 of the official ArangoDB Java driver comes with load balancing for cluster setups and advanced fallback mechanics.